The flute and harp are instruments that were used in the Ancient World to represent the unifying of Heaven, Earth and the Human Spirit. 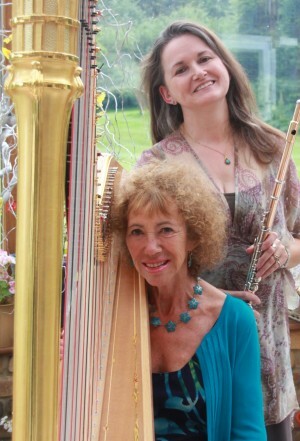 Kate Cuzner (Flute) and Patricia Spero (Harp) have been playing and recording together for over 15 years and are widely travelled artistes. In addition to recital work, they are often requested to play for special occasions, celebrations, weddings, funerals and corporate events. They are both internationally published and recorded musicians who have collaborated on many recordings, ranging in style from medieval/folk music to popular classics, film, show, jazz standards, new age/world music as well as original music composed by Pat and Kate. Some of the music they play has been specially arranged by them to suit the events/occasions they play for and requests are considered. Serenata plays a broad range of baroque, classical and popular repertoire in addition to the above and has played in a diverse range of settings, from concert halls, stately homes, castles and churches to major event venues including Windsor Castle, Brighton Conference Centre, The Gerkin, Hampton Court Palace, Claridge’s, Apsley House, Le Manoir aux Quat’ Saisons, British Museum and Courtauld Gallery to name but a few. touring the UK, Europe, Russia, Australia and New Zealand, playing on TV, radio and in top venues and festivals in the UK and abroad, Kate won a Cripplegate Scholarship from the City of London to further her jazz studies at the Guildhall School of Music and Drama. A debut album of her jazz compositions and improvisations for flute, ethnic flutes, low flutes and saxophone ‘Fly By Wire’ using extended techniques and electronics was released on FMR records in 1997 and distributed worldwide by Harmonia Mundi. Publishers of her music include Valentine Music, Hunt Edition, Henri Lemoine, Spartan Press and A&C Black . She also self-publishes and has accepted a number of commissions. More publications and recordings are due for release in the near future. 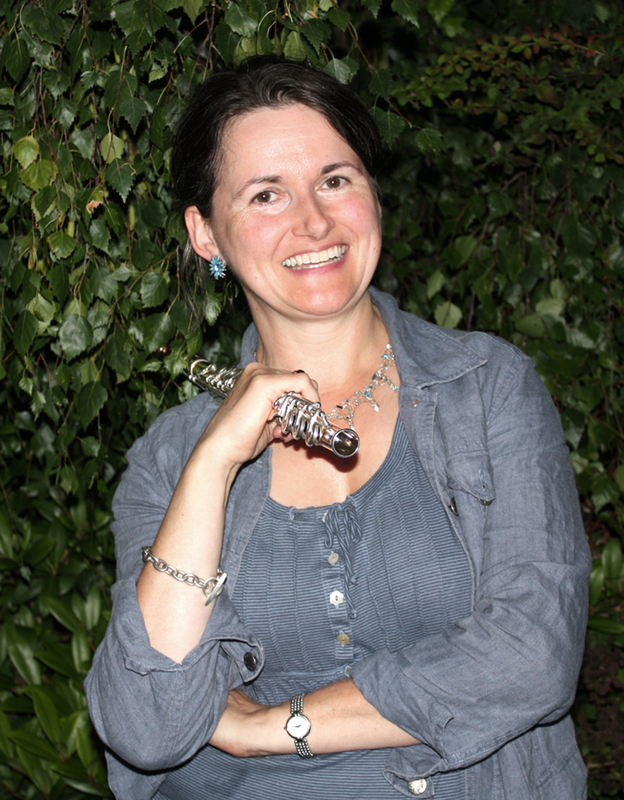 In addition to recording, examining, performing and composing/arranging, Kate has maintained a busy teaching schedule for over twenty years, starting small jazz combos and instrumental groups in schools, coaching ensembles, youth orchestra woodwind sections and leading workshops, including teachers’ sessions for the British Flute Society and music services around the UK. One of her pupils won the ABRSM Laura Marco Prize for the highest mark attained for Grade 8 flute and a number of pupils have gained Dip. ABRSM diplomas, awards and bursaries to further their music studies and some have bravely entered the music profession. 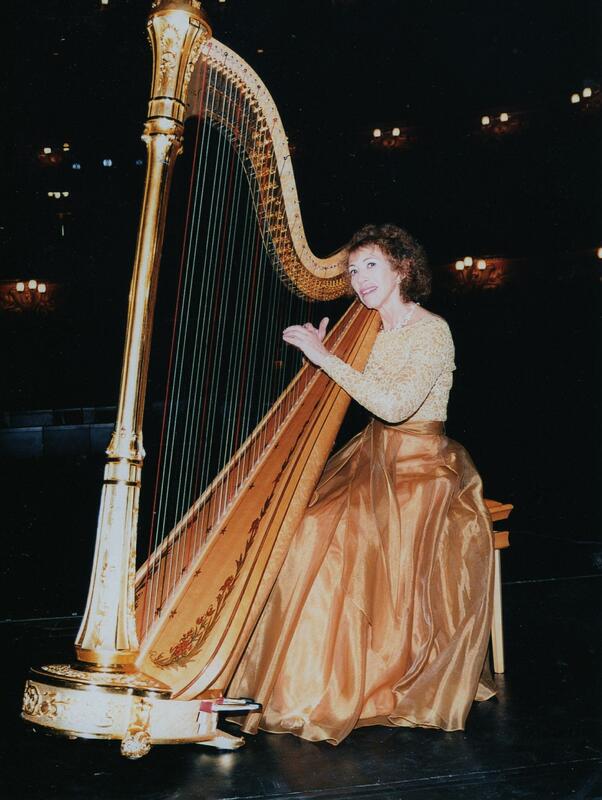 Patricia Spero is a classically trained harpist with a degree from Trinity College of Music, London and post -graduate training with the Russian harpist Maria Korchinska. She has worked with many orchestras, including the Royal Ballet Orchestra and Bournemouth Symphony Orchestra. Although originally an orchestral harpist, she now concentrates on recording and recital work, with twenty albums currently in production. They range from classical to modern music, some of solo harp and some featuring other instruments – flute, violin, cello and saxophone. She also composes and records her own meditative harp music which is sold under the New World Label, and often collaborates with other musicians for experimental and improvisational recordings and concerts. She was recently nominated as part of a list of seven artists for the title of ‘ Best Female Artist ‘ at the Classical Brit Awards, the first time a harpist has ever been chosen.